Wondering what it’s like to live in McKinney, TX? You’ve come to the right place. As a premiere local McKinney moving company, we’ve got all the details on living in McKinney. Our city guide includes tips on the best neighborhoods, great schools, and what to do for fun in this Dallas suburb city. At least, according to Money Magazine, it is. 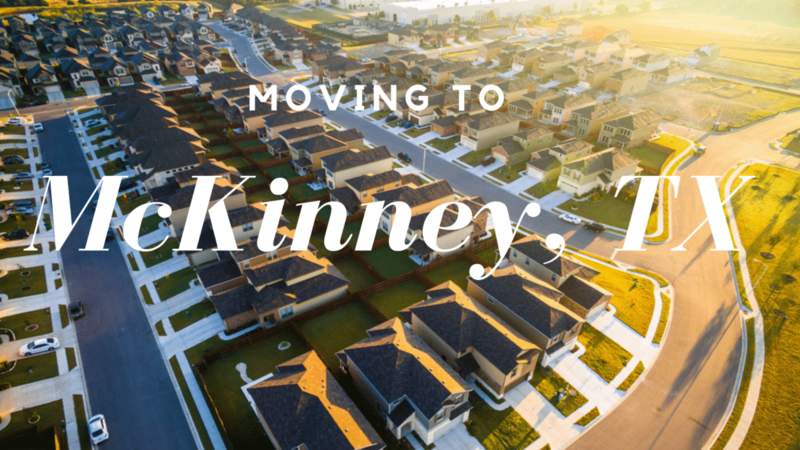 In 2014, McKinney won the award for best place to live in the U.S., and with people moving here every day, the area continues to be a top destination for professionals and families. The excellent schools, safe community atmosphere and affordable housing in McKinney were all factors that contributed to the win. McKinney is also ranked #8 in the country for first time homebuyers by Wallethub.com, and the #4 best place to raise a family by SmartAsset. As of May 2017, McKinney, TX is the third-fastest growing city in America! Today, the McKinney population stands at about 157,000, and has experienced as high as 4.5% year-over-year growth. This makes McKinney the second-largest city in Collin County, after Plano, TX. McKinney is a majority White city, with 19% of its inhabitants identifying as Hispanic, and 11% as Black. It’s also a relatively young city, with a median age of just 32. However, this is greatly impacted by the high number of kids in this family-friendly area; 21% of the population in McKinney is between the ages of 5 and 17, which is significantly higher than any other age bracket in the city. Employment in McKinney is growing as fast as the population; between 2015 and 2016, McKinney saw a 6.06% increase in jobs. The most common occupations are Management, Sales and Administration roles. Major employers in McKinney include Wistron GreenTech, Emerson Process Management, Manner Plastics and Traxxas. Collin County is also home to Baylor Medical Center, FedEx, Frito-Lay, JC Penny and JP Morgan/Chase, offering plenty of work opportunities in a variety of industries. Living in McKinney also means you’ll get to keep more of your paycheck! Texas is one of the few states in America where there is no state income tax at all. Pair that with a median income $30,000 above the American average at $83,000 per year, and life in McKinney can be more than comfortable. The median value for homes in McKinney rests at $228,500, only 11% above the national average. More budget-friendly housing is available here, with plenty of homes available for between $100,000-$200,000. There are some luxury homes as well, though you probably won’t be paying more than $750,000 for any house in McKinney. Property taxes here are high, with the majority of homeowners paying about $3,000 per year. Most families here own 2 cars, and will drive an average of 30 minutes to work, so be prepared for gas and maintenance costs. McKinney residents can expect to pay around 15% more than the average American for other living costs, including utilities, groceries and healthcare. McKinney is home to some of the best schools in the Dallas-Fort Worth Metroplex, and in the nation. The Imagine International Academy of North Texas is ranked #49 in the nation, according to the (NEWS), and features an International Baccalaureate program. The public school system here, McKinney ISD, is also highly rated, and enrolls a total of 24,500 students between its three high schools, five middle schools and 20 elementary schools. McKinney Boyd High School, part of the McKinney ISD, ranks among the best open enrollment high schools in the metroplex, and 67% of students there participate in Advanced Placement classes. If you are considering moving to McKinney, get ready for some hot weather. The “hot” season here lasts from June to September, and has an average daily high above 87 degrees. You might want to stay inside on July 31st, the hottest day of the year, which has an average high of 96 degrees. Sometimes, the temperature in McKinney even reaches the triple digits. During “winter,” the average temperature in McKinney hangs between 40-60 degrees. The average low on the coldest day of the year is 35 degrees, which is still above freezing. And snow? Forget it. The highest average snow in McKinney is 0.1 inch during January and February. Basically, if you hate the cold, McKinney is the place for you. While all the neighborhoods in McKinney offer something special, there are a few standouts in this safe, family oriented city. Serenity, Eldorado Heights and Trinity Falls all feature beautiful housing in great school zones, plus plenty of amenities for residents. Serenity is a relatively new neighborhood in McKinney. Before its development, Serenity was the site of the McKinney Country Club and Golf Course. Today, the community include 75 homes, all built between 2010 and 2013. Most of these houses are more than 5,000 square feet, and the average Serenity house contains 5 bedrooms; Serenity was literally built for families! Nestled next to the Heard Museum Nature Preserve, Serenity residents also get to enjoy gorgeous surroundings in this charming neighborhood. The Trinity Falls neighborhood of McKinney covers 1,700 acres of gorgeous Texas land. Only a short drive from Highway 75, Trinity Falls is a great place for families who need easy access to other areas of the city, and commuting professionals. As a master-planned community, the neighborhood features beautiful homes, along with a clubhouse, community pool and open-air pavilion with a fireplace. Trinity Falls even has a “lifestyle director” that helps plan community events. Outdoor activities are alive and well in McKinney, TX, and the Herald Natural Science Museum & Wildlife Sanctuary is no exception. The museum itself offers tons of educational programs that the whole family will enjoy. Plus, it’s settled on 298 acres dedicated to the wildlife sanctuary. Walking the nature trails here, you’ll be sure to see plenty of wildlife, and of course, dinosaurs. 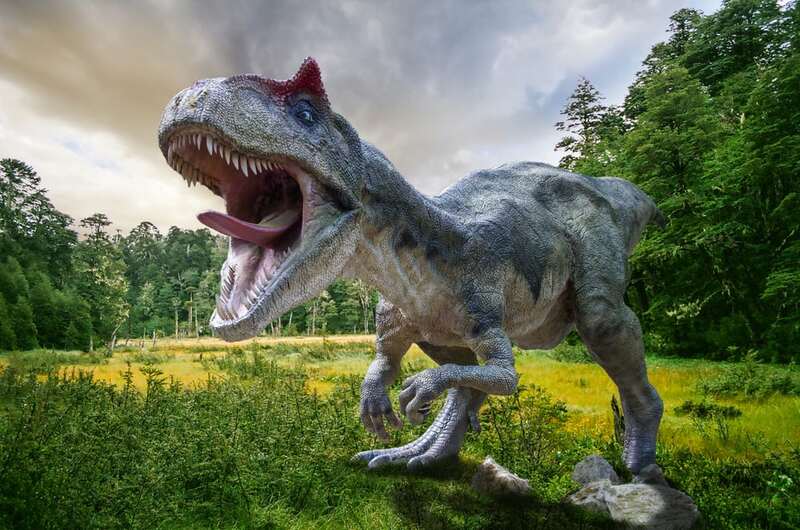 The nature preserve here features 10 life-size animatronic dinos, including a 49-ft. Tall T-Rex, as part of their annual Dinosaurs Live! exhibit. The exhibit also includes an outdoor “fossil dig” for kids. The tradition of Third Monday Trade Days dates back to the late 1800s, when McKinney was chosen to host a county-wide market for all of Collin County. Today, the Trade Days occur on the weekend before the third Monday of the month, and feature over 450 vendors selling everything from home decor to artisan crafts and plenty of food and drink. Each month, the event brings in up to 14,000 shoppers, and there’s 18 acres set aside just for event parking, so we recommend hitting the market early to avoid the crowds. Yep, McKinney has its own vineyard! The Winery at Mitas Hill produces 15,000+ gallons of wine annually, all handcrafted in small batches. If you become a member of their Vineyard Club, you can even get special reserve wines that aren’t available to the public. The winery offers vineyard tours on Saturdays and Sundays, which include a wine tasting. They even have a “Winemaker Experience” for members, where you can create your own unique bottle from grape to glass! Is McKinney, TX The Right Place for You? If you think you’d like to move to McKinney, let us be the first to say, “Welcome!” You’re going to love it here. Of course, getting here means moving, and that can be a hassle. So if you want to enjoy a stress-free moving experience, give us a call at (214) 733-4411. We’ll handle everything from packing to transport, so you can focus on what’s really important: your new home.